These are two supplements I have added to my vitamin regimen that I am loving. 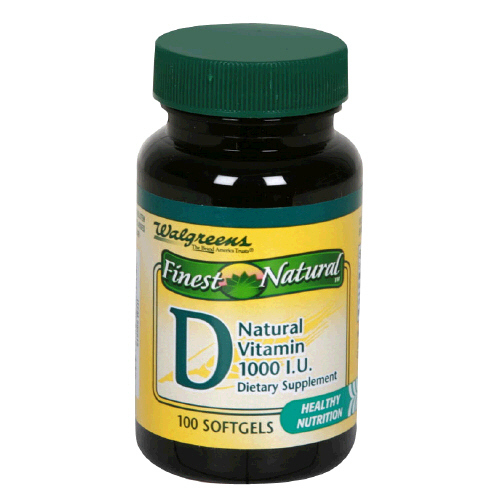 New research suggests that nearly 60% of people are deficient in Vitamin D- the sunshine vitamin! Particularly with cooler Fall and Winter weather coming, I encourage you to get some. It is not naturally created in the body, but definitely has many benefits we need....such as helping the body to absorb calcium, promoting a healthy immune system, fighting cancer, regulate blood sugar and blood pressure, works as a potent anti-inflammatory, and helps prevent diseases. 1000 mg is the recommended daily dose. Heck, if they don't work or your body doesn't need them, you'll just pee them out, so to me, it's definitely worth taking them based on the benefits health research has suggested they provide. Do you take a multivitamin in addition to the other vitamins that you take? And what time of day do you take your vitamins? When I was taking a multivitamin, I would take in the morning and it made me feel so nauseated, to the point that I was running to the bathroom bc I felt the need to get sick! Since then, I havent taken ANY vitamins besides my B12 injections (bc of deficiency). If you look under the "Health Stuff" tab I have a whole post devoted to the vitamins I take. (I am a FIRM believer in them- I feel like dump when I don't take them!) I have read that it's better to take them at night because otherwise you may pee them out in the morning if you drink a lot water or coffee in the am....but I take mine in the morning so I don't forget. The trick is to NOT take them on an empty stomach or too soon after you've eaten. I used to have the SAME problem....I mean mouth watering....and in fact, I got sick over the weekend one day cuz I took them too soon after I ate. I eat a huge breakfast, so now I try to take them about 45 min after I've eaten to give my food time to settle. They just need something to stick to- :) You should try to start taking them again. Even if you eat a healthy diet, most adults still do not get all the vitamins and nutrients ourbodies need.